You already know how much Marcus and I like muffins. So here’s another one that is really, really delicious and healthy and filling. I first made these muffins when I was living in Fort McMurray. And I – not at all exaggerating – made these once a week. I used to take one to work every morning and eat it right away when I got off the bus. Always with a cup of tea because I didn’t like the coffee on site, it gave me energy to start my long day. I like bran muffins, and just bran in general, a lot. I first came across this recipe on allrecipes.com because I was searching for easy bran muffins. And my one condition was that the recipe used bran cereal since it was in my cupboard. The fact that there’s a banana and an apple in these beauties was just gravy. I tend to grate my apples pretty coarsely because I like the distinct apple pieces you get in the muffin. 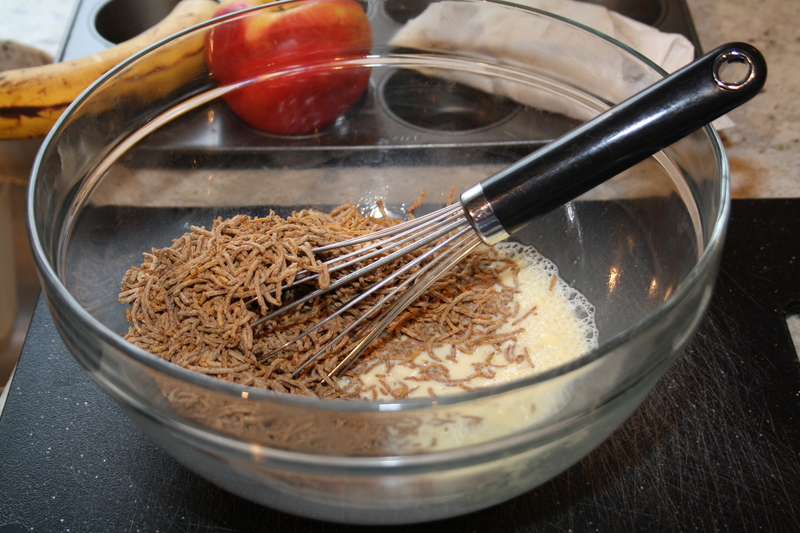 You could grate them finer if you want the apple to blend more into the batter. 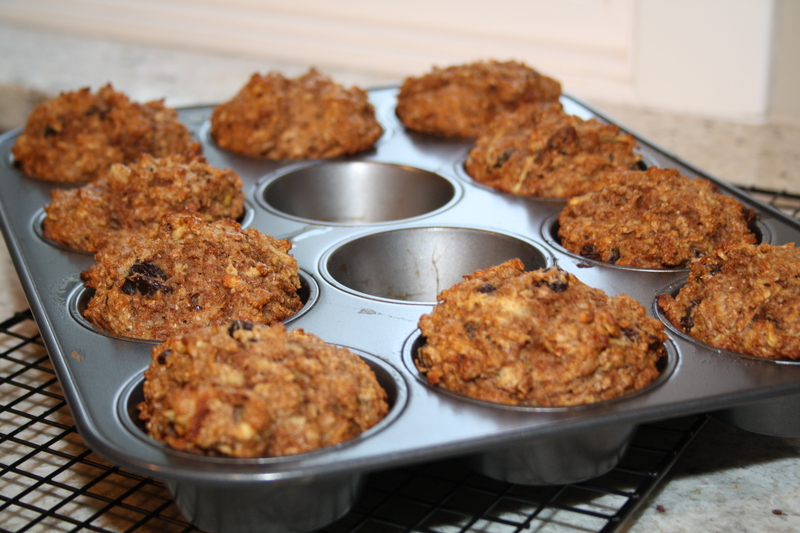 The banana keeps these muffins moist – no dry bran muffins here. And the raisins, even for people who aren’t the biggest raisin fans (ahem, Marcus), are a must. The muffins are fruity and bran-y in all the right ways. The other lovely thing about these muffins is there’s no sugar in them, opting for honey to give sweetness. If you don’t want to use the full 1/2 cup of honey, I would try 1/3 or a 1/4 cup and either add another banana or egg to keep the batter moist. 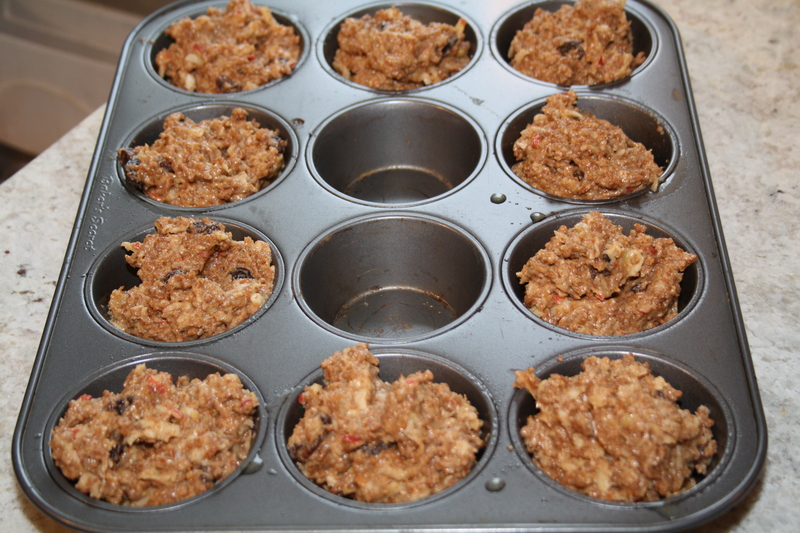 Banapple Bran Muffins will last a few days in an airtight container. I made these the day we left on a family vacation to Hawaii; most went in the freezer and I threw a few in our carry-on as a snack. They kept really well with Marcus snacking away well after we arrived to the islands. On the topic of Hawaii, I’m very aware (from delicious experience, of course), that tropical climates enjoy a real fruit called a banapple. 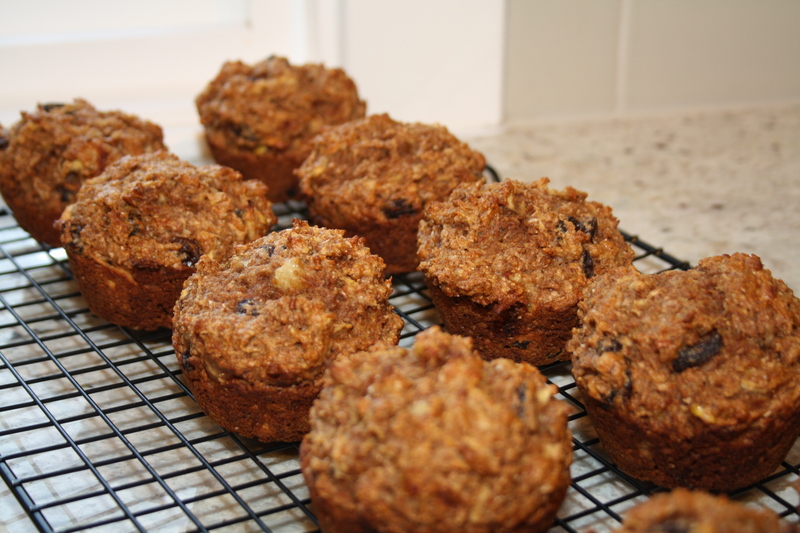 While I didn’t use banapples in this recipe, only because I can’t find them in Calgary, if you are lucky enough to access banapples then they would make the ultimate Banapple Bran Muffin. Real banapples are much smaller than a banana, so use about two. They are tarter than their banana cousin, but have the same texture and colour as a traditional banana. Let’s talk about allrecipes.com. Sites like allrecipes.com are wonderful. Anything that gets 5 stars from 135+ people, many home cooks like me, deserves my attention. It’s a wonderful resource to get inspiration, or just a very tried and true dinner. Along with these muffins, my favourite recipes are a steak rub, barbecued trout, and a raspberry-peach pie. Go check it out! 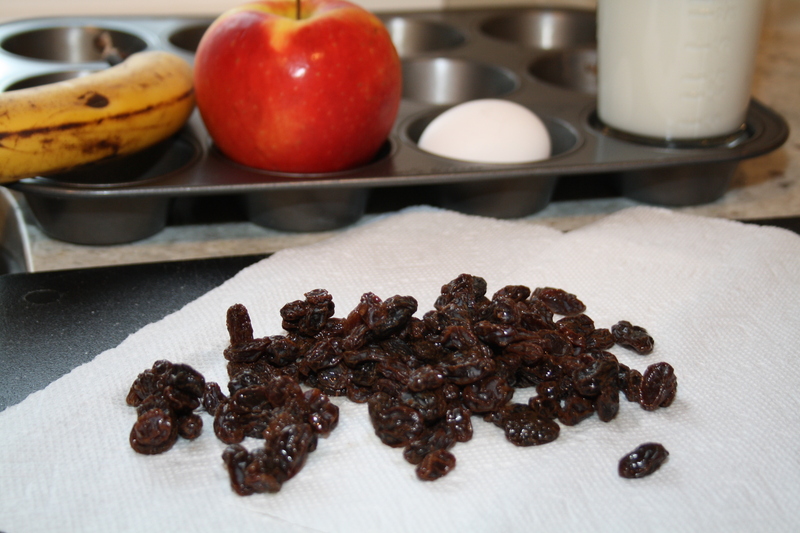 In a small bowl, cover the raisins with water until they are just covered. Microwave on high for 1 minute. They will be plump and juicy. Drain them and then dump them on a paper towel to absorb the rest of the water. Set aside. In a large bowl, beat the egg with the milk. 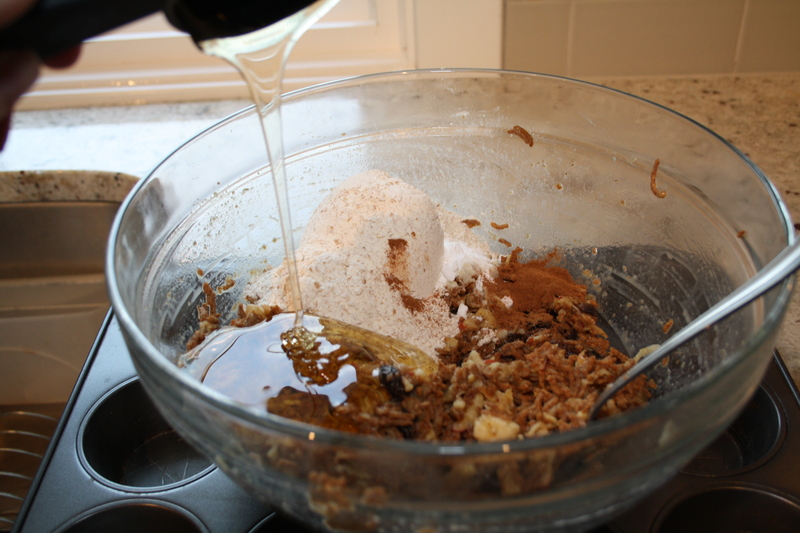 Mix in the bran cereal, then let sit for about 5 minutes while you prep the other ingredients. Grate your apple on a box grater. Place the grated apple in a cheese cloth or paper towel and give it a good wring. Your bare hands work for this too. Mash the banana with a fork or a potato masher. Add the apple and banana to the bowl with the cereal-milk-egg combo. 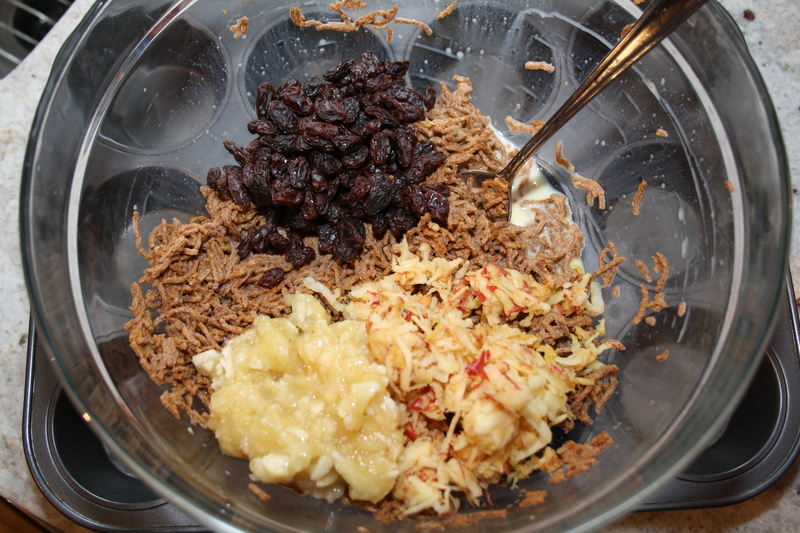 Add the raisins that you set aside, flour, baking soda, cinnamon, melted butter, and honey to the large bowl with the fruit and cereal mixture. Stir until it is barely mixed. 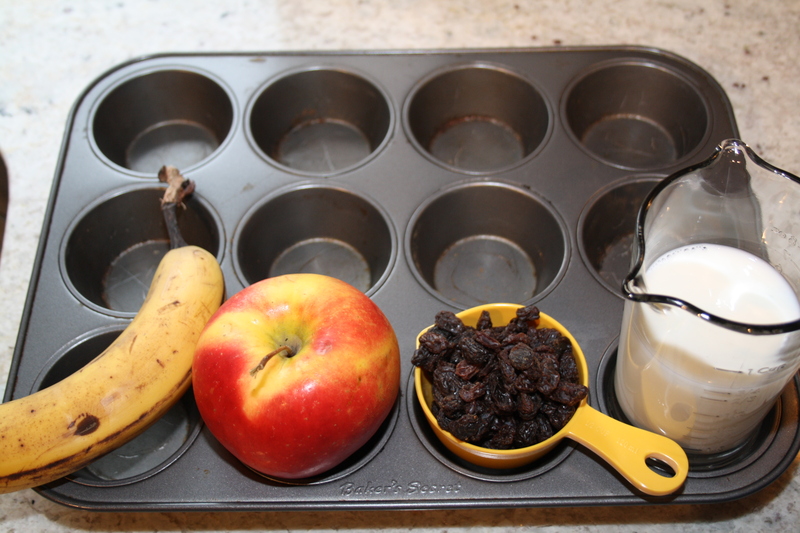 Using a greased muffin tin, spoon the batter into the muffin cups. Bake for 18-20 minutes, until the muffins have puffed up and feel firm on top to the touch. Let cool for a couple minutes before transferring the muffins to a cooling rack. Yum – glad you liked them! !